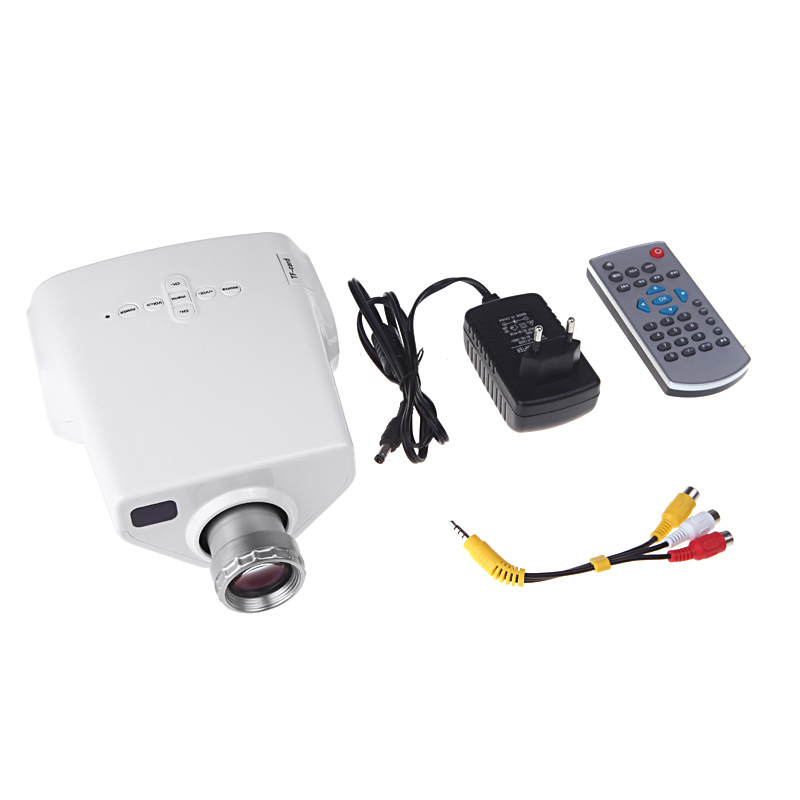 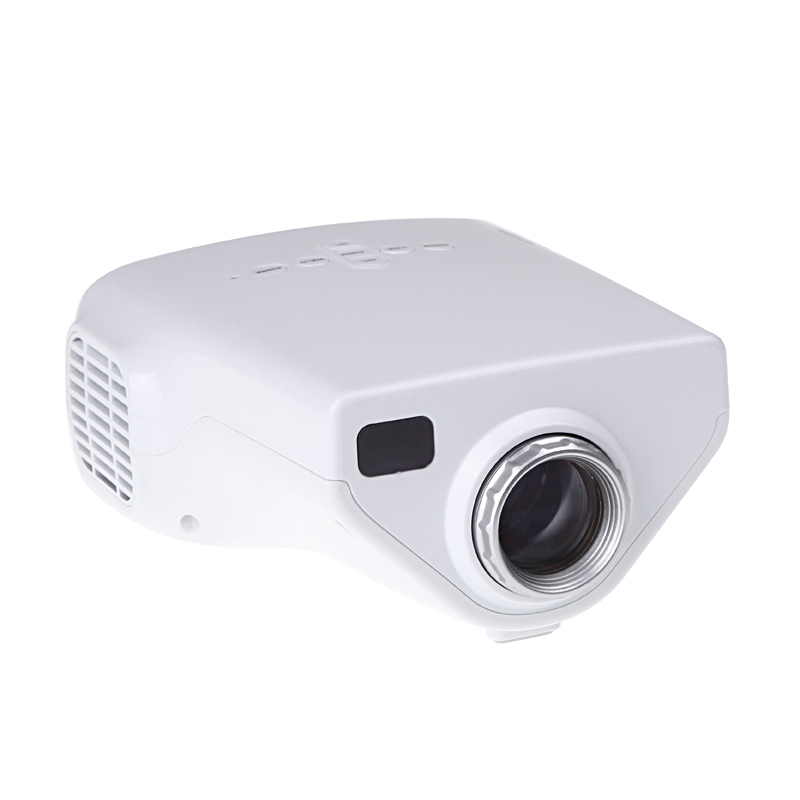 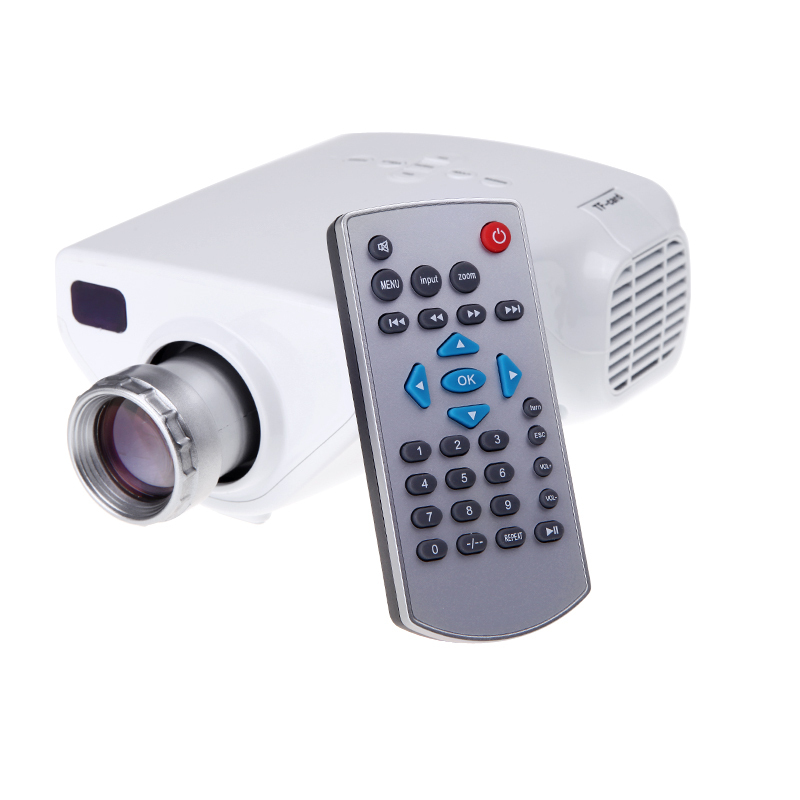 Features: The LED lamp can work for over 20,000 hours, and will provide a superb picture. 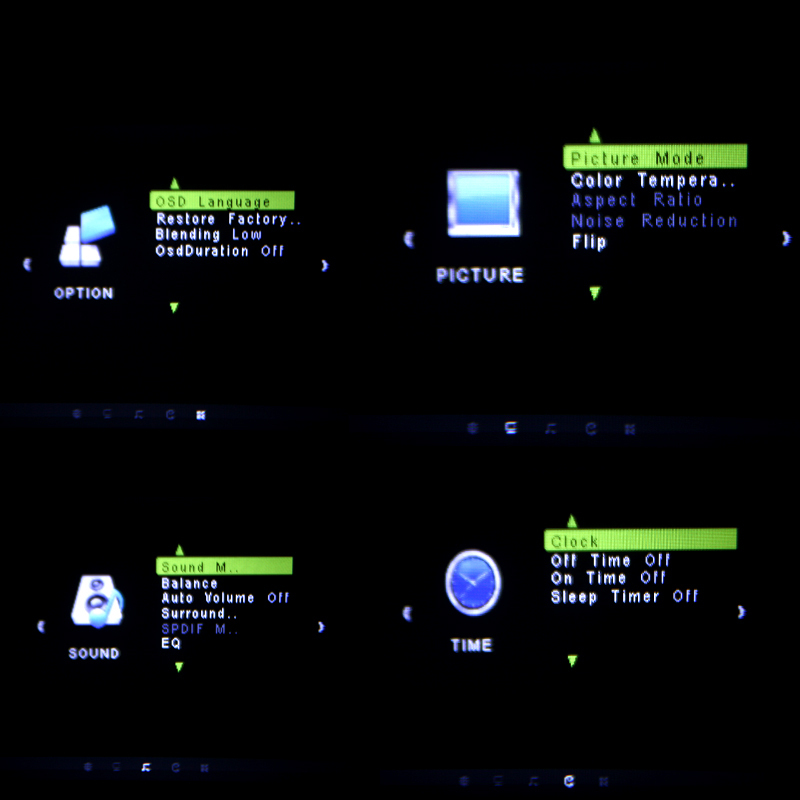 Manual focus adjusting, get picture from 10 to 100 inches. 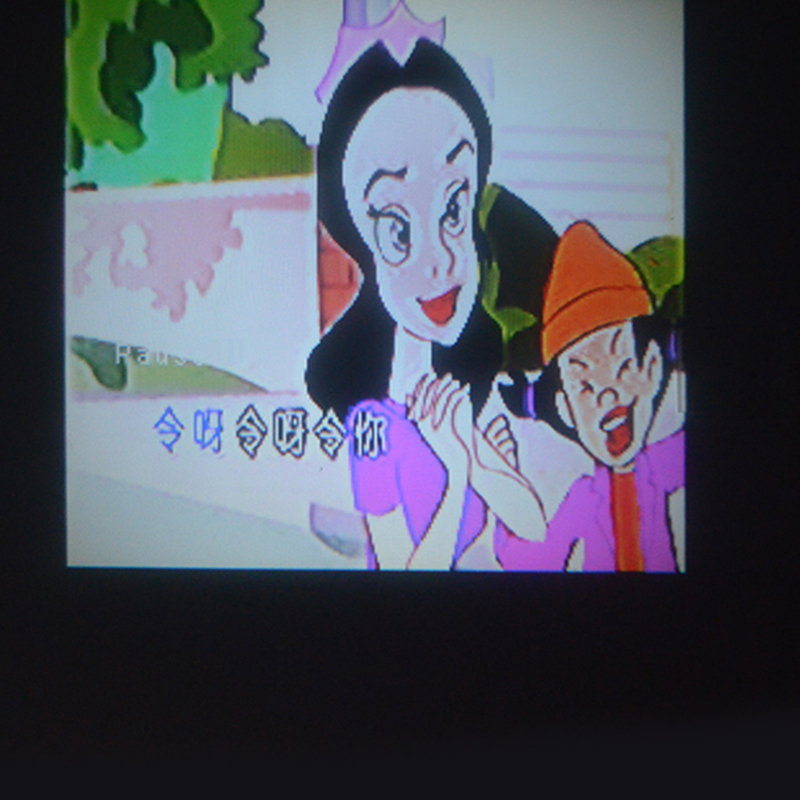 Easy changing in 16:9 and 4:3 aspect ratio. 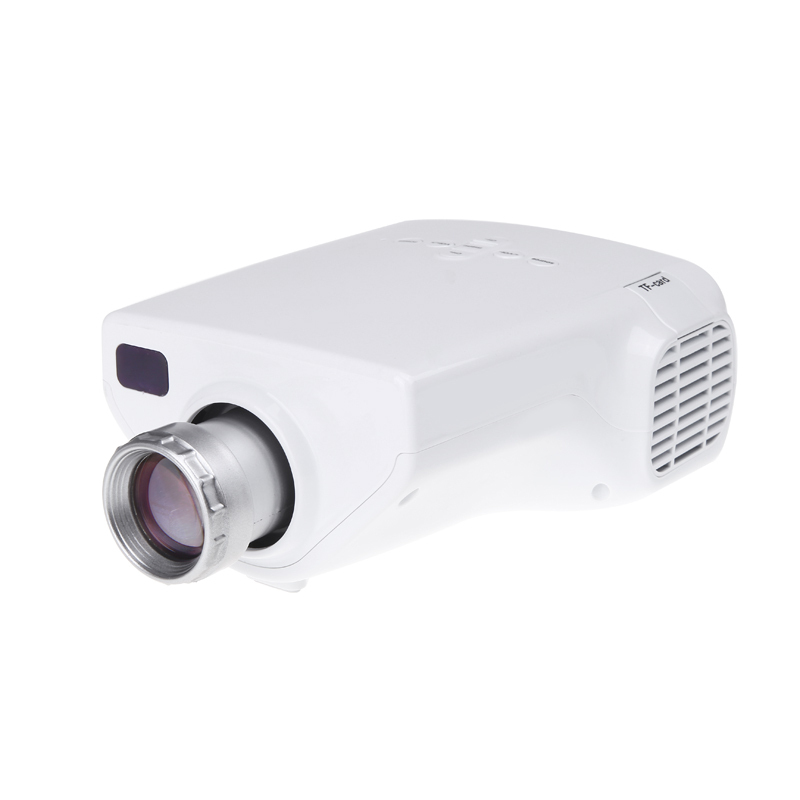 Low power consumption, energy saving and environmentally friendly. 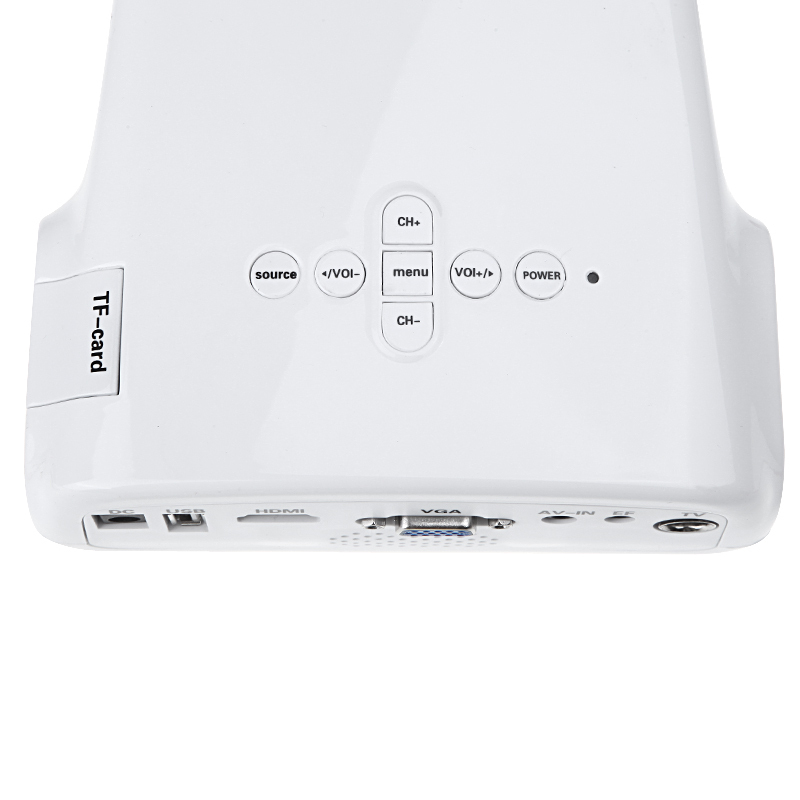 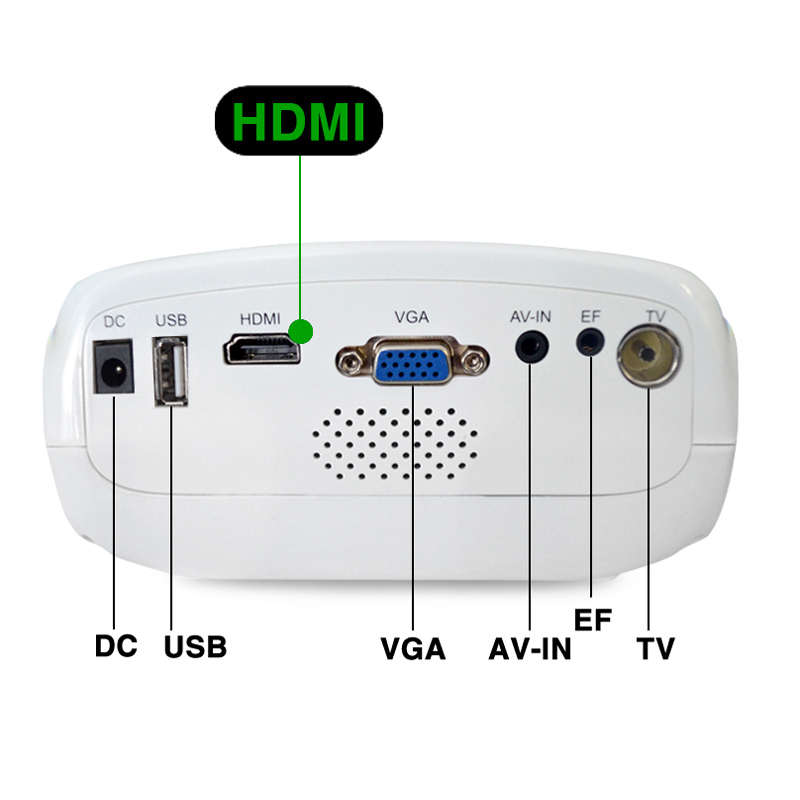 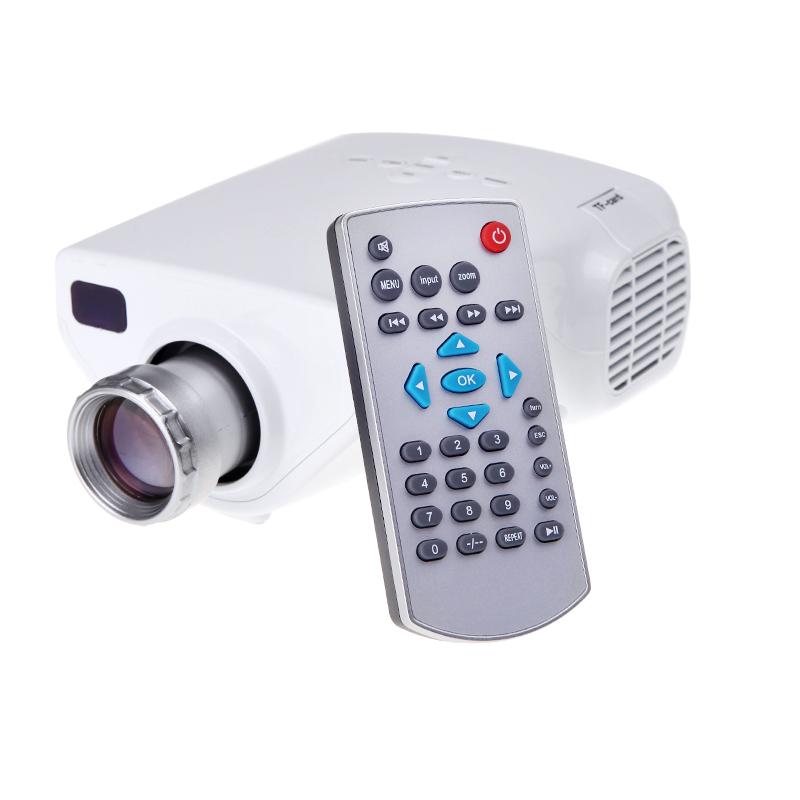 Multi-function interface: AV, TV, VGA, Micro SD/TF, (support up to 32G), USB, HDMI. 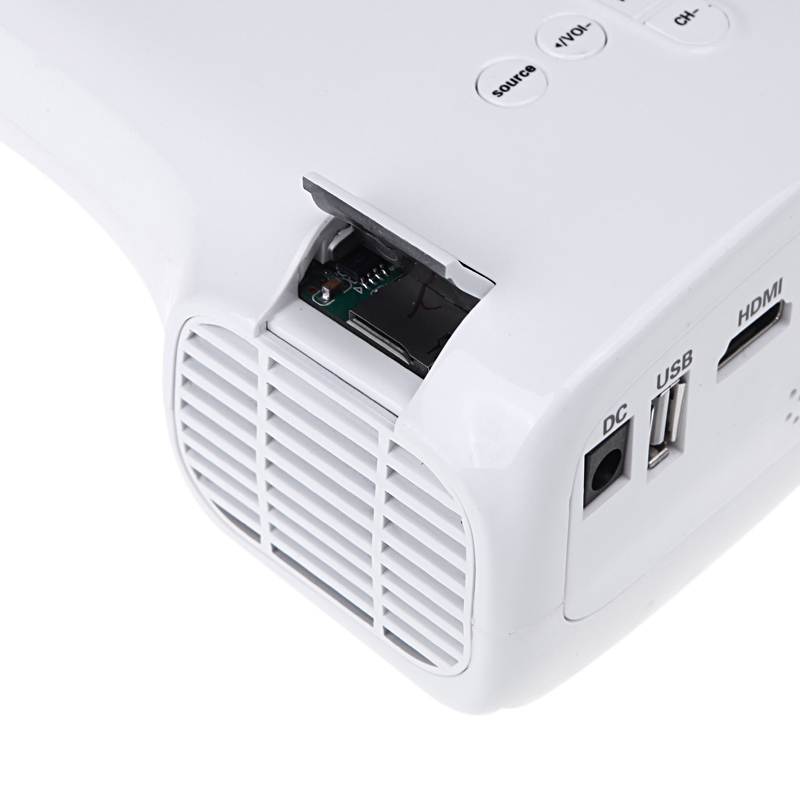 Small and lightweight, easy to carry around. 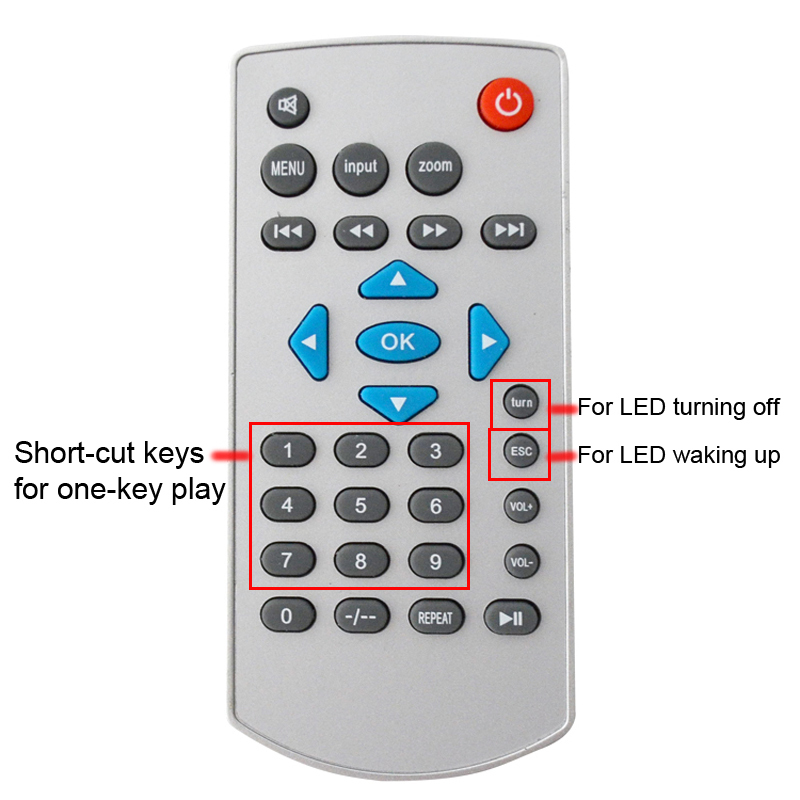 Specially designed short-cut keys (1, 2, 3, etc) on the remote for one-key play. 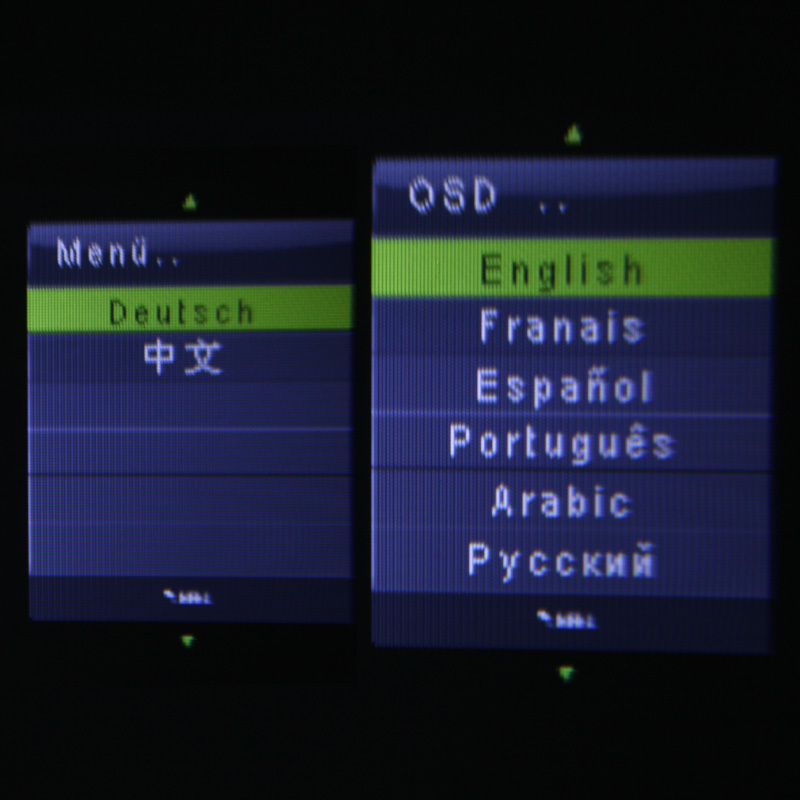 “Turn” key on the remote for LED turning off and “Esc” key for LED waking up.